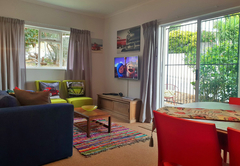 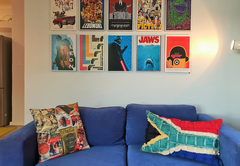 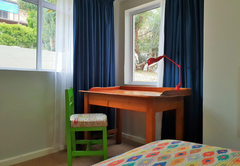 Die Brandhuis is a property providing self catering in Gordons Bay for up to 4 guests visiting the Cape Helderberg region. 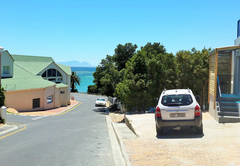 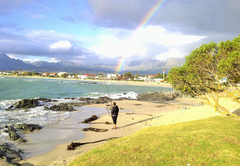 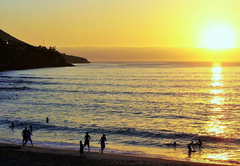 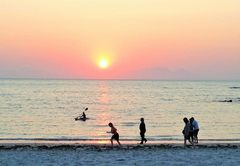 Located in Gordons Bay, Die Brandhuis offers self catering accommodation for four guests. 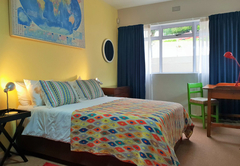 This colorful, delightfully decorated holiday apartment is within walking distance of the beach and offers all the comforts of home. 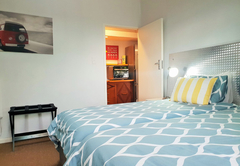 Die Brandhuis Holiday Apartment has two bedrooms. 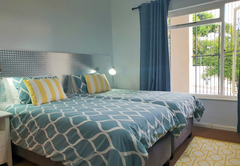 The first bedroom is furnished with a Queen-size bed and the second bedroom has two single beds pushed together. 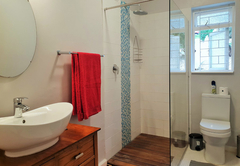 There is a spacious shower room. 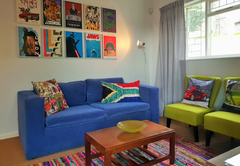 There is an open plan living area has a seating area and four seater dining table. 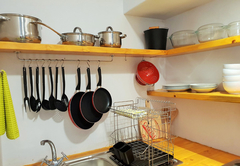 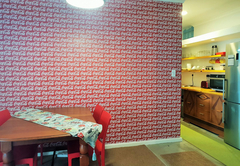 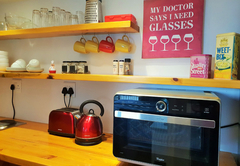 The colorful kitchen is well equipped for self catering. 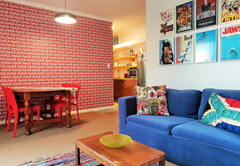 Step into a world of colour, and delight your senses in this brand new 2 bed apartment. 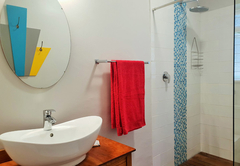 A spacious shower bathroom and open plan living area, with the sweetest kitchen you have ever seen, Die Brandhuis can comfortably sleep 4 people. 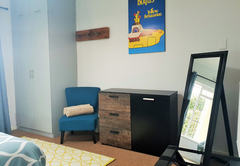 Response timeDie Brandhuis typically responds to requests in 5-10 minutes.